Total production of forest assortments in Bosnia and Herzegovina in 3rd quarter of 2018 has been decreased for 2,09%, compared to the same period in 2017. Production of coniferous (softwood) assortments is, for 0,14% lower while the production of broadleaf (hardwood) assortments decreases for 3,92%. Production of coniferous logs is 4,04% lower while production of broadleaf logs records decrease of 5,40%. Production decrease, compared to 3rd quarter of 2017, has also been recorded in production of: coniferous other long wood – 18,18%, broadleaf other long wood – 30,41%, broadleaf cordwood – 35,35% and broadleaf fuelwood – 1,08%. 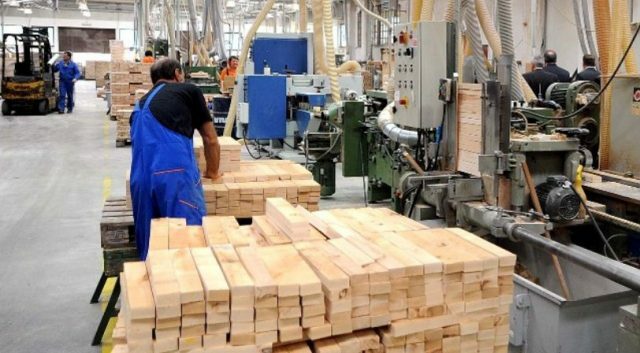 Production increase, compared to 3rd quarter of 2017, has been recorded to: coniferous mining wood – 14,24% and coniferous cordwood – 8,21%. Other roughly worked wood, coniferous fuelwood and broadleaf mining wood are produced in small quantities and changes in produced quantities do not affect variations in total production of forest assortments. BiH is a country with the largest share of forest and the greatest diversity of forest types in the Western Balkans. The Forests are one of the most important natural resources in the country. According to the latest data, forests and forest land in BiH encompass an area of 3.231.500 hectares, which represents 63% of the total area, with values that are among the highest in Europe. In terms of ownership, about 80% of forests are state-owned and 20% privately owned. State forest fund in BiH is significantly more favorable compared to the data from the previously performed inventory in forestry. The new data indicate the existence of even 435 million m3 of wood stocks, which amounts to 201 m3 / ha. In total, this means that the expected forest fund is for 23 percent higher than previously officially published. Due to their natural and diverse structure as well as significant natural regeneration, forests are a key resource for the further development of Bosnia and Herzegovina. The main tree species are: fir, spruce, scotch and european pine, beech, different varieties of oak, and in the less number there are the kind of deciduous trees such as maple, elm, ash, and the fruit trees (cherry, apple, pear). It is necessary to emphasize that the beech and oak from B&H, in the manufac- ture of furniture, are very distinctive raw materials and it additionaly opens many doors in the world to BH producers. BiH is a net exporter of primary and secondary forest products and has the potential to run the local processing companies to add value. The role of non-wood forest products is currently undervalued, but it has an important role for rural development. of Commerce, domestic wood processing industry may be declared one of the most important and the most competitive sectors of the BH Economy. This is illustrated by the fact that it is one of only three sectors in BiH that showed the foreign trade surplus of more than 418 million accompanied with double-digit growth in production, sales and exports, leading to a growth in the share of GDP, produc- tion and employment structure. Moreover, from 2011, the wood processing industry has experienced an annual growth of over 10% in terms of annual production volume. Next articleHow will Residents of Banja Luka spend their New Year’s Night?